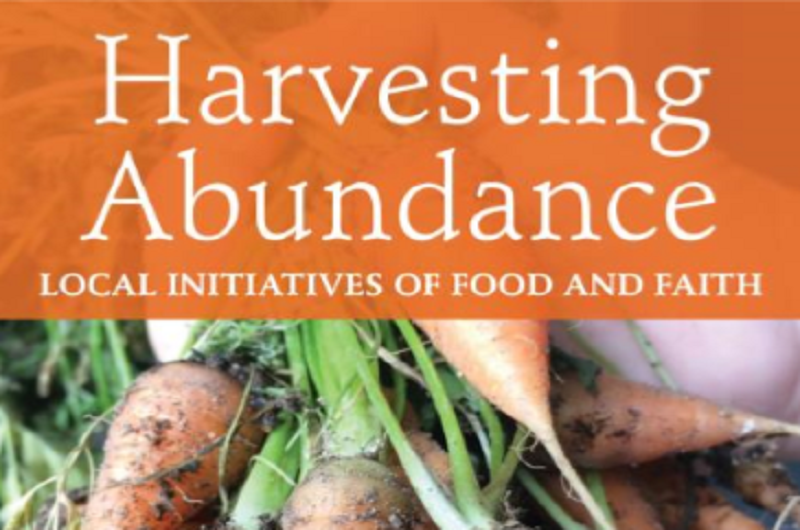 On Saturday, January 20, 2018, the Episcopal Church of St. Martin will host a community forum with Brian Sellers-Petersen, author of “Harvesting Abundance: Local Initiatives of Food and Faith.” A leading advocate of the “food and faith movement,” Sellers-Petersen consults with congregations across the nation as they seek to grow food, feed hungry neighbors, cultivate community, and care for the earth. The forum and potluck dinner will be held at 5:00 PM in the St. Martin’s Parish Hall, 640 Hawthorn Lane in Davis. Sellers-Peterson will be joined by panelists including the Rev. Dr. Pamela Dolan, founder of Shepherd Farm near St. Louis, and Jim Schaal, founder of the SPR Food Garden in Chicago. 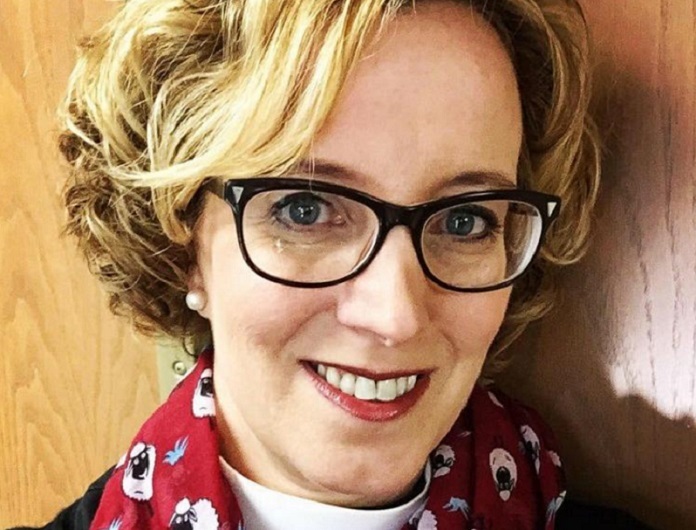 “Brian is a great mentor to this growing movement, and we are honored to share his wisdom with the Davis community,” said Dolan, who joined St. Martin’s as Rector in September 2017 after writing her doctor of ministry thesis on gardening as a spiritual practice. 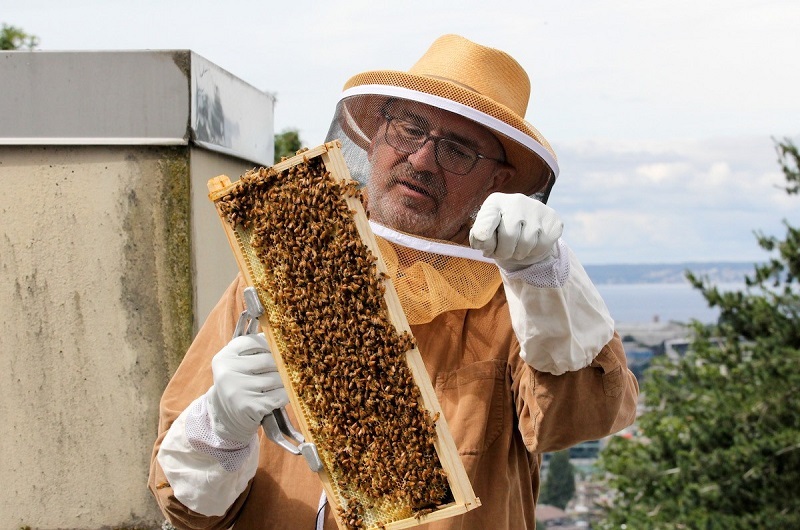 Brian Sellers-Petersen working with bees. Courtesy photo. St. Martin’s is a Cool Davis partner and the Harvesting Abundance forum is co-sponsored by the Yolo Interfaith Alliance for Climate Justice, an active working group of the Cool Davis Coalition. For those who cannot attend the Harvesting Abundance forum on Saturday evening, St. Martin’s welcomes visitors to worship on Sunday, January 21 at 7:45 AM and 10:00 AM, where Brian Sellers-Petersen will be the guest preacher, and to a reception at 11:30 AM, where Sellers-Petersen will read excerpts from his book and sign copies available for purchase. All of the weekend’s events at St. Martin’s are free and open to the public. Rev. Dr. Pamela Dolan. Courtesy photo.